It’s estimated that hummingbirds need to consume the nectar from between 1,000 to 2,000 flowers each day, taking up around 1½ times their body mass in water each day as they feed. Unfortunately, development and urban sprawl across the country and across hummingbirds’ migratory routes have destroyed a lot of the natural habitat containing these nectar-producing plants. We can all help reduce the impact of disappearing habitat by creating a garden that's hummingbird-friendly garden. It’s easy to do and provides hours of enjoyment as you welcome these tiny but busy, beautiful and entertaining visitors to your garden. A hummingbird-friendly garden needs three key ingredients - (1) nectar-producing flowers, (2) insects and (3) water. 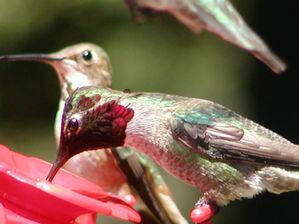 Natural nectar provides hummingbirds with a steady supply of fast energy and a balanced source of micro-nutrients. Native plants that occur naturally in the wild can provide significantly more nectar than cultivated hybrids. 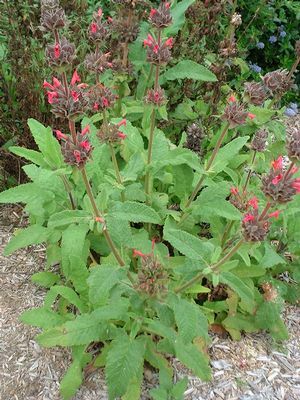 Native plants may also require less maintenance, less fertilizer and less water than many non-native plants. Choose plants that hummingbirds prefer. Like most birds, hummingbirds have hardly any sense of smell and the plants they're attracted to tend to have little or no fragrance. 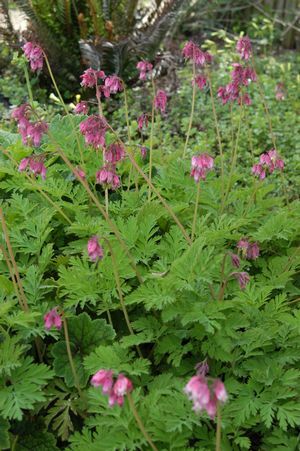 Their preferred plants have tubular flowers and tend to be brightly colored. Red flowers are especially attractive, followed by oranges and pinks, purples, blues, and yellows. Beware of brightly colored non-native plants like bougainvillea, which only trick hummingbirds into wasting precious energy trying to drink from empty blossoms. Note too that cultivated varieties of flowers that have been bred by humans often produce less nectar than naturally occurring wild forms. Group similar plants together and choose annuals and perennials with different blooming periods. With a little planning, you’ll be able to provide a steady supply of flowers and nectar nearly year round. Fill as much of your yard as possible with flowering plants, vines, shrubs, and trees. If you don’t have a garden, even a window box or hanging basket on your balcony can attract hummingbirds. Encourage your neighbors to make their yards hummingbird friendly too. An entire corridor of habitat is so much more valuable than scattered patches. In addition to nectar for energy, hummingbirds also need protein to maintain their bodies and grow new feathers. They obtain their protein from insects. Insects such as spiders, mosquitoes, aphids, and gnats are an important part of an adult bird's diet. Young hummingbirds still in the nest feed on bugs almost exclusively. Hummingbirds have specialized neck muscles that help them capture insects while in flight. They also catch insects from leaves and spider webs. In this way they can also help control some of the bugs in your garden! Attract insects for the hummingbirds by maintaining a healthy ecosystem in your yard. To do this, you need to stop using pesticides. Killing garden pests also kills the small insects hummingbirds rely on for protein. 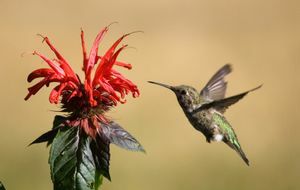 In addition, hummingbirds might directly ingest pesticides sprayed onto flowers, which could sicken or kill the birds. Almost all birds bathe in water (though some prefer dust baths!) and hummingbirds are no exception. Sticky nectar left on their feathers makes it impossible to preen them and can even cause them to fall out. Therefore, providing an appropriate water source for bathing is an important element in creating a hummingbird-friendly garden. Hummingbirds prefer to bathe in water that's shallow and moving. A really easy way of providing this is by having a shallow birdbath that's allowed to gently overflow on one side (easy to do by simply assuring the birdbath is not perfectly level). Having a catch basin below will facilitate recirculation of the water if desired or needed. This will attract other birds as well as hummers, but this shouldn't be a problem. Hummingbirds also like fountains that have an upward spray. These water features are often multi-tiered, providing shallow pools of moving water, but it's the spray from the topmost piece that is important, as hummers will fly up and gently edge in and out of the moving water droplets. Watch out for cats! Remember to put bird baths, misters and feeders at least 4 feet above a cleared area so the hummingbirds can't be caught and killed by cats. Here in the Monterey Bay, we have four species of hummingbird. Anna's hummingbird (Calypte anna) is a year-round resident. We also have three migratory species who live here from early spring through summer; the black-chinned hummingbird (Archilochus alexandri), the Rufous hummingbird (Selasphorus rufus) and Allen's hummingbird (Selasphorus sasin).